The 2014 U.S. Women’s Open champ is known as a power hitter. She can also pound greens. Here are four moves to make knocking it close extra Wie-sy. 1. 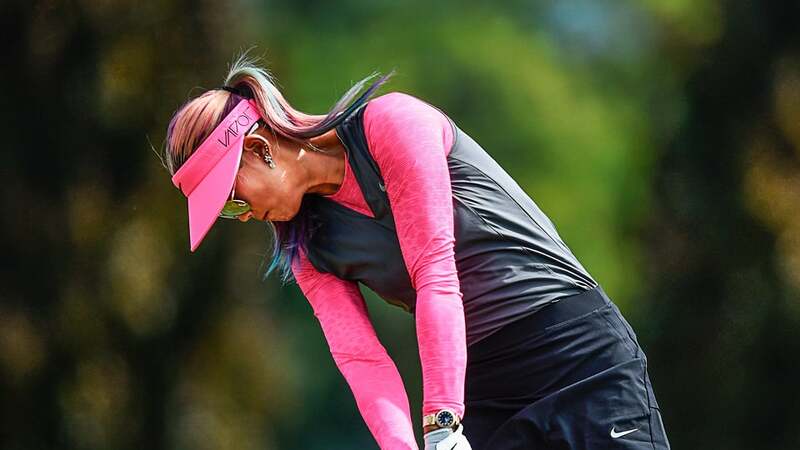 PLAY A HEAD GAME Wie’s head is behind the ball at impact, with her eye line parallel to the ground. This combination allows her arms and right shoulder to work under her instead of working too much around. The result? Ultra-pure impact. 2. GET A LEG UP Wie committed to strengthening her lower body a few years back, and it paid off with a U.S. Open trophy. Swings need leg power. Even doing simple squats while watching television will strengthen your legs and improve your swing. 3. LET'S KICK IT This perfect divot indicates ball-first contact. To turn your mis-hits into pure strikes, copy Wie: Kick your right knee toward your left foot on your downswing. It’s a Hogan move that still works wonders. 4. START AT THE BOTTOM Wie’s feet trigger her downswing. She shifts her weight to her left side, keeping her left foot rooted to the turf. Engage your lower body first. It helps your entire motion fall into place, almost by magic.